I regularly browse through Sainik Samachar, the journal of our armed forces published on behalf of the Ministry of Defence. 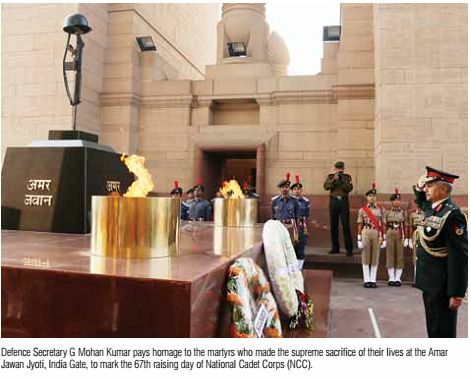 In the latest issue, dated November 1-15, there is a photograph of Gen Dalbir Singh, Chief of the Army Staff, at Amar Jawan Jyoti during the Infantry Day (October 27) celebration. Infantry Day commemorates the landing of a battalion of the Sikh Regiment in Srinagar in 1947, to chase away the Pakistani intruders. In the photograph, Gen Dalbir Singh is looking resplendent in his full uniform. But, jarringly enough, the good General is sporting a mauli on his right wrist. The General is in good company. An inside cover photograph shows Lt Gen Aniruddha Chakravarty, and he too has a mauli on his right wrist. And, then, there is a group photograph of “war veterans, colonels of Infantry Regiments and the serving officers” at India Gate. At least four officers in the front row can be seen wearing maulis. This issue of Sainik Samachar has many photographs of the Defence Minister, Hon’ble Manohar Parrikar, also sporting a thick mauli. He is a politician and probably not subject to the rules and regulations or dress codes of the forces. And, these rules and regulations are clear, unambiguous and uniformly applicable to all ranks. 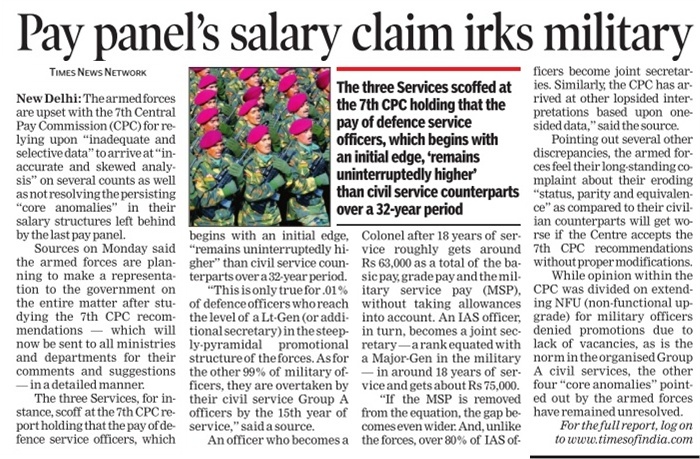 But, the Army Chief and other senior officers displaying a religious insignia is a different matter. And an unhappy lapse. It is totally at variance with the image of a professional army. Earlier, very many people had felt disappointed that the Chief and some other officers had permitted themselves to be inducted in the Yoga Day celebrations. All said and done, that celebration was Prime Minister Narendra Modi’s political project. Our armed forces have an honourable and glorious record of maintaining a respectful and professional distance from the political crowd. This tradition and discipline must not be allowed to get diluted for the sake of our republic’s long-term health. Vowing to combat terror, India and Malaysia today decided to ramp up their strategic ties in security and defence sectors and called on all states to bring perpetrators of terrorism to justice as Prime Minister Narendra Modi held talks with his Malaysian counterpart. Modi, while speaking at a joint media briefing after his talks with Malaysian Premier Najib Razak, said the recent spate of attacks in different countries, “not to mention the ceaseless terrorist attempts against India and Afghanistan are a reminder of the global nature of this threat.” Modi also complimented Najib for providing leadership in combating extremism and radicalisation, rejecting any link between terrorism and religion and in highlighting the “real values of Islam”. Malaysia and India also agreed to continue sharing of information and best practices to address the challenges posed by terrorism and other “traditional and non-traditional threats”. Modi and Najib recalled their stake in promoting multiculturalism and reaffirmed their “commitment to democracy, pluralism and development”. Appreciating Najib’s leadership in combating extremism and radicalisation, Modi said this was a great contribution and an important aspect of global efforts against the challenge. 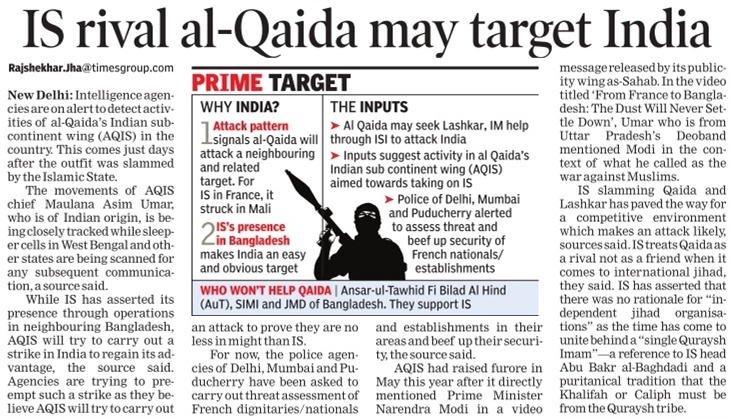 Warning that terrorism is the “biggest threat” to the world, Modi had yesterday said it should be delinked from religion. Talking about security and defence cooperation, Modi said both countries will make it stronger, including for advancing maritime security and strengthening disaster response in the region. “I am pleased that we have agreed to upgrade our joint exercises and set up the SU-30 Forum,” he said, adding that both sides will do more in terms of level and complexity of exercises and collaboration in training and defence equipment. 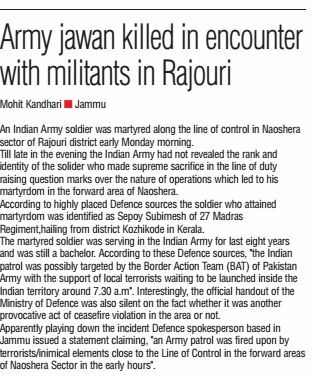 An Army jawan was killed after Pakistani troops violated the truce pact along the Line of Control in the Nowshera sector of Rajouri district this morning, while four militants were eliminated in two separate encounters across Kashmir. However, the Army, which took more than seven hours to officially react to the Nowshera incident, stated that during early morning hours an Army patrol was fired upon either by terrorists or inimical elements close to the LoC in forward areas of the Nowshera sector. The incident took place around 7.30 this morning. 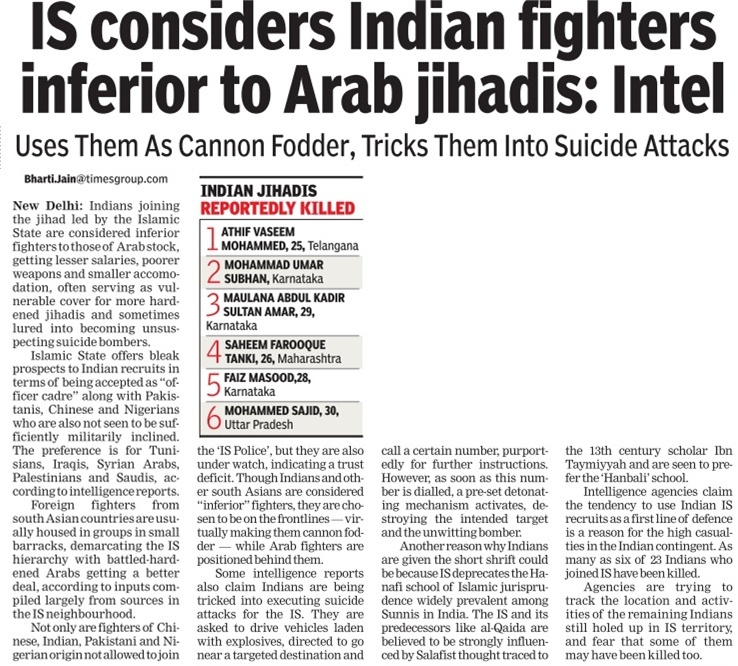 “Indian troops retaliated appropriately. In the ensuing firefight, a soldier was injured who succumbed to his injuries while being evacuated to Military Hospital. 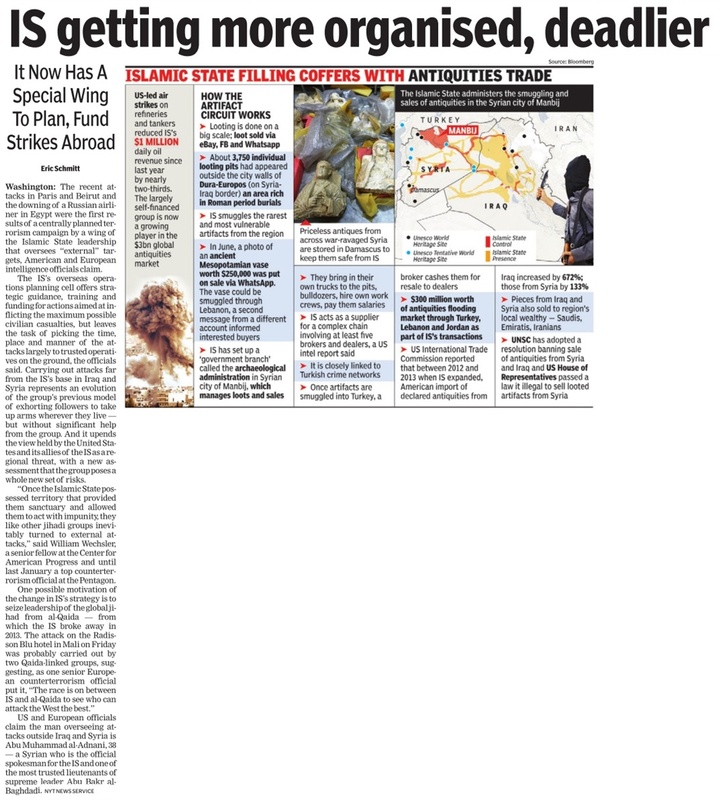 Search operations are in progress,” said a defence spokesperson. The deceased has been identified as Sepoy Subinesh from Calicut in Kerala. Rajouri is some 150 km northwest of Jammu. It is the first Army casualty along the LoC after the Indian and Pakistani armies held Brigade Commander-level flag meeting on September 21 at Chakan da Bagh to de-escalate tension on the border. A militant was killed in an operation in Hajinakah village of Kupwara district of the Kashmir region today where intermittent firing amidst a search operation was still on in the area, around 120 km from Srinagar. Two or three more militants are believed to be hiding in the area. 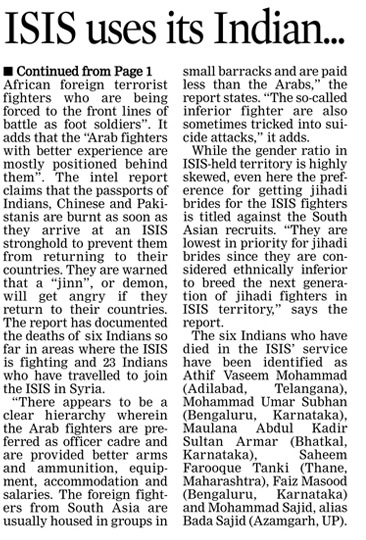 “The slain militant is most probably a foreign militant. At least two or three more militants are believed to be hiding in the area and the intermittent firing is still on,” said Aijaz Bhat, Superintendent of Police, Kupwara. “Besides, a combing operation in Manigah and in villages adjoining Hajinakah is also on to track down the militants hiding in the forest area,” he added. The slain militant’s body is yet to be lifted from Hajinakah, police sources said. Lt Colonel KS Natt of 160 Territorial Army, who was critically injured in the gunfight in Hajinakah last evening, was airlifted to Delhi for advanced treatment, sources added. A combing operation jointly carried out by the Army, police and the Special Operations Group of the police has been going on for the past 11 days in the Manigah area of Kupwara. The search operation was intensified and later extended to the adjoining Hajinakah village two days after Col Santosh Mahadik, 38, was killed in an operation in Manigah on November 17. In a separate incident, three Hizbul Mujahideen operatives were killed in a brief gunfight with security forces in the Siligam area of Anantnag district, some 65 km south of Srinagar. 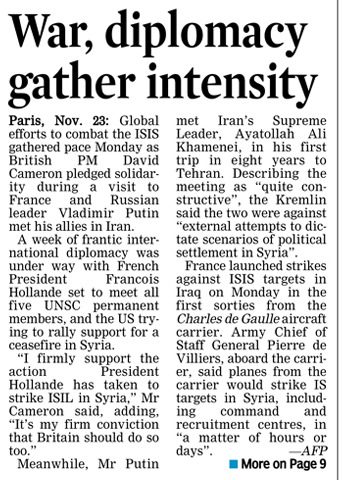 Intelligence inputs on the presence of militants in the area had been pouring in for quite some time, sources said. The area was cordoned off about 2 pm today and soon contact was established with militants in the Tantraypora locality of the Siligam area. “Militants tried to break the cordon by firing on us. The fire was retaliated and during the brief exchange of fire, three militants were killed,” said an Army officer. The police have recovered two AK-47 rifles, one under-barrel grenade launcher and a pistol from the slain trio. 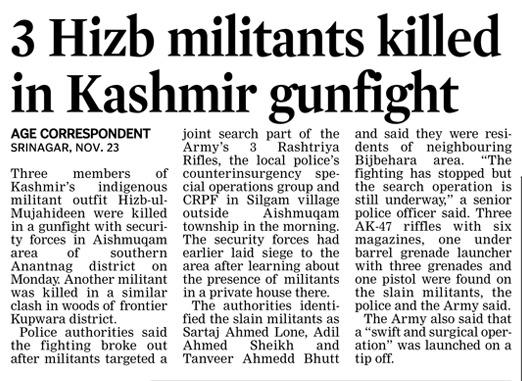 The police said the killing of these militants was a substantial setback to the Hizb in the area. “All three of them belonged to Burhan Wani’s (the Hizb commander from the Tral area of Pulwama) group. They had been recruited less than a year ago and remained active in Anantnag district and its peripheries,” said a police official. The slain militants have been identified as Adil Shiekh of the Shiekh Mohalla area in Bijbehara town of Anantnag district, Tanveer Ahmad Bhat of Baba Mohalla locality of Bijbehara and Sartaj Ahmad Lone of Wopzan village on the outskirts of Bijbehara town. 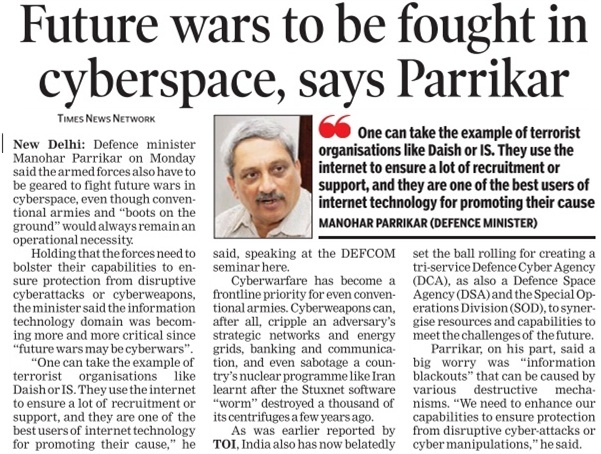 Stating that the future wars might be fought in the cyberspace, Defence Minister Manohar Parrikar on Monday warned the Army against “information blackout” as he sought enhanced capabilities to ensure protection from disruptive cyber attacks or manipulations. 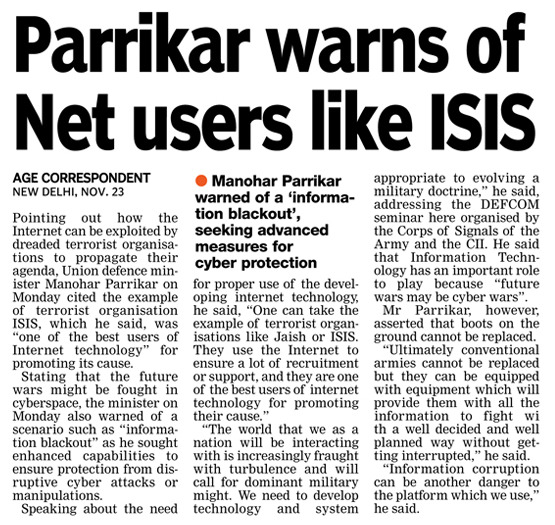 Parrikar also cited the example of the terrorist organization ISIS, which he said, was “one of the best users of internet technology” for promoting their cause. The Defence Minister said a resurgent India will increasingly play a dominant role in the world affairs. “The world that we as a nation will be interacting with is increasingly fraught with turbulence and will call for dominant military might. We need to develop technology and system appropriate to evolving military doctrine,” Parrikar said addressing the DEFCOM seminar here organised by the Corps of Signal of the Indian Army and the CII. He said that Information Technology (IT) has an important role to play because “future wars may be cyber wars”. He said his worry was information blackout which can be caused by various destructive mechanisms. “Information corruption can be another danger to the platform which we use,” he said adding that information overload is also a problem. “Because of Information Technology, you can get so much information that getting vital information out of that becomes something like finding a needle in a haystack,” the minister said. He said while we progress through IT and make a more digitalised army, the danger is of disruption through cyber attacks by the enemy. “We need to enhance our capabilities to ensure that they are protected from such disruptive cyber attacks or cyber manipulations,” he said. Parrikar said the Indian Army should not only use the digital advantage but also protect itself against destructive technology of adversaries. Noting that India has been at the forefront of software development, he said one needs better hardware designing and integration in our system. Parrikar also said that the new Defence Procurement Procedure was at an “advanced stage”, and he expects it to be in place in the near future. He said the government’s effort is to have as much as indigenisation as possible. The minister, however, said that it cannot happen overnight because even with best efforts, only 10 per cent increase can be achieved. Underlining that the government has been pushing very hard, he assured the industry and the armed forces that the government is focusing on Make in India. “Our effort will be to depend on indigenously manufactured items because for a very rare eventuality in a war, you can really depend on your own resources,” he said. The Jammu and Kashmir Light Infantry Regimental Centre Monday, showcased its latest batch of 146 passing out recruits from the State of J&K who joined the Indian Army taking oath for “dedicating their lives in the service of nation”, a Srinagar based defence spokesperson said. “Marching shoulder to shoulder, singing their Regimental Song ‘Balidanam Veer Lakshnam’, the young army men inspired one and all with their vigour & sense of pride,” the spokesperson said this evening in a statement. “As part of the attestation parade, the Centre Commandant also presented The ‘Sher-e-Kashmir’ Sword of Honour and Triveni Singh Medal to Recruit Nuzran Ahmed Dar from Kulgam for being adjudged as the ‘Overall Best Recruit’ from the passing out batch. Recruit Nuzran also distinguished himself as ‘Best Recruit in Firing’ and received the ‘Chewang Rinchen Medal’ for the same. Recruit Firdous Yousuf Malik from Kupwara was the proud recepient of ‘Maqbool Sherwani Medal’ for being ‘Best in Physical Training’,” the statement informed.